Join us on Sunday, May 5, 2019, when Samurai will distribute sushi dessert treats to each child ages 12 and younger dining with us . A combination of Malibu Coconut Rum with coconut milk, vanilla syrup and Matcha. Matcha is a green tea powder with numerous health benefits and gives this cocktail a rounded, earthy balance. This beverage is shaken vigorously and served over ice with a toasted coconut flake garnish. Layers of bright fruity flavors. 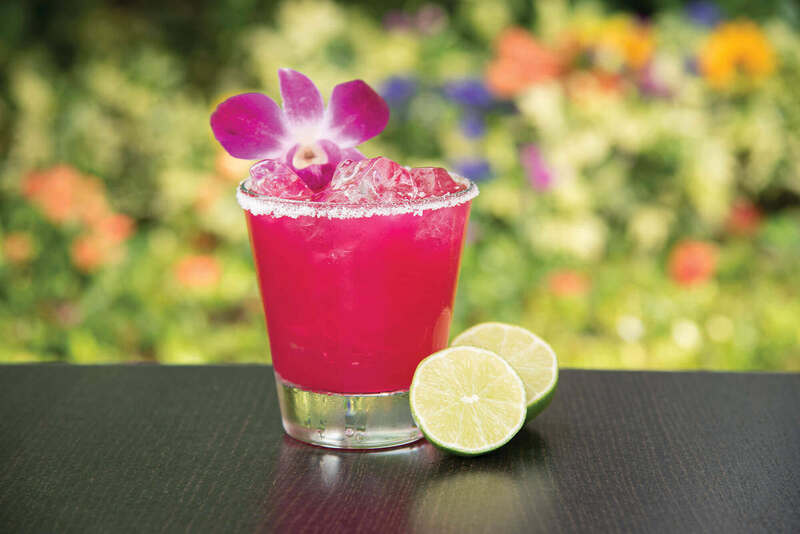 Astral Blanco Tequila, lime agave sour and prickly pear purée all shaken and strained over ice and topped with Grand Marnier. Register for The Chef's Table and receive the latest Samurai news, special offers and a complimentary $30 Birthday Certificate during the month of your birthday. Register for The Chef’s Table and receive the latest Samurai news, special offers and a complimentary $30 Birthday Certificate* during the month of your birthday. Get behind the hibachi grill and try your hand at being a Samurai chef with our Be The Chef packages. Make your Samurai memories last even longer. Download your photo from a recent visit now.